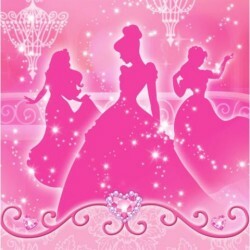 Disney Princess Party SuppliesThere are 27 products. 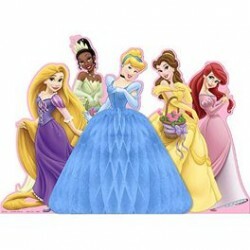 Disney Princess Centrepiece 13" tall. Lovely Centre piece for a disney princess party. 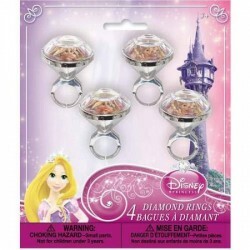 Each - Complete set of 5 decorations. For indoor or outdoor use. 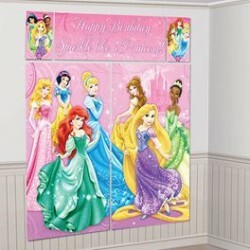 Wall decorating kits include 2 side by side pieces measuring 32.5 inches x 59 inches - 1 decoration measuring 44 inches x 16 inches. 2 corner pieces measuring 10 inches x 16 inches. 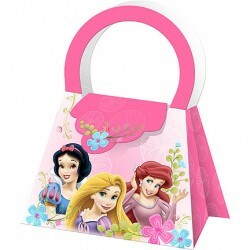 4/Pkg - Disney Princesses Treat Purses. 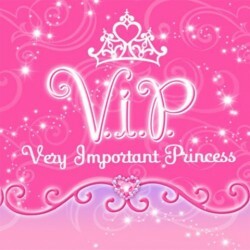 Your daughter's next party will have all the girly charm she'll want. 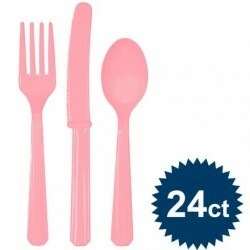 Order the Candy Pink Cutlery Set which includes forks, spoons, and knives, enough for 8 girls. These utensils will look great on the table among themed plates, cups, and napkins. 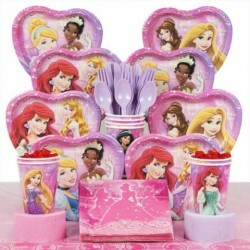 Kit Includes: 8 Disney Princess Cake Plates 8 Disney Princess 9oz Cups 16 Disney Princess Luncheon Napkins 1 Disney Princess Table Cover 1 Set Candles 2 Sets Streamers 8 Forks/Spoons/Knives Lavender cutlery temporarily replaced with pink cutlery. 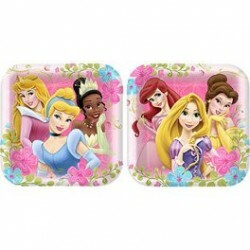 Disney Princess Dinner Plates 9"
Disney Princess dinner plates 9" 8/Pkg - Measures 9 inches. 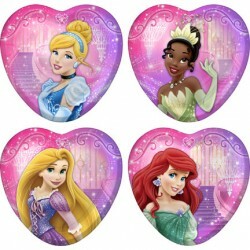 Disney Princess party napkins 16/Pkg - Measures 10 inches. 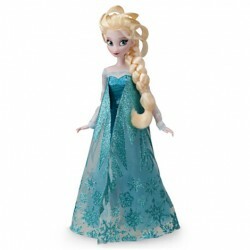 Glittering snowflakes have landed at the hem of the glamorous gown worn by Elsa on this classic doll. Bring the movie to life with our collection of Frozen characters, as you recreate your favorite scenes. 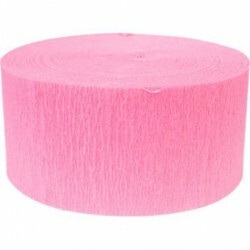 Size: 12 7/8" x 12 7/8"